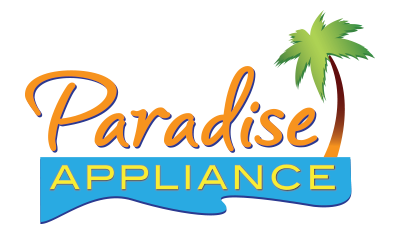 Your Paradise service person, is very knowledgeable, of the product, a very nice gentleman. I had the most respectful and professional technician at our home. He came in prepared to fix our washer. He was patient and answered all my questions. He also gave me tips on taking the best care of our machines. I’d definitely have him back out for future repairs! I had been informed by telephone that the service technician would arrive between 6-8 pm, but I was very glad to see the technician around 2:00 pm. I gave no rating for cost/pricing as my work is under warranty. Preston was great! Took awhile to get the appointment. Tech was on time, fast and helped us out on one of other appliances not even associated with the call. Good guy ! Our repair man was great. Called before arrival an took care not to scratch our floor an swept under the refrigerator. Figured out what was wrong in a few minutes. Nothing to do with Victor but having to wait five days for repair when you have a warranty an then find out it can’t be fixed is way to long to go without a refrigerator. Great Service, Repairman was knowledge and very helpful with my questions t hat I had regarding the operation of the washing machine. Repairman was early and very pleasant. He did a quick and efficient repair and explained everything to me. WASHER MAYTAG MVWB765FW3 "replaced bad noisey gearcase, ran thru test & recalibration working ok. auth#MJRMZ00NL2"
DRYER MAYTAG MGDB765FW0 "found user panel not responding to selections for auto dry cycles, reinstalled connection for ui board ran test in diagnostics, now working ok."
WASHER MAYTAG MVWB765FW3 "found noisey gearcase making clicking noise & leaking oil, need gearcase replaced. auth#MJRMZ00NL2; ordrng 1 W11134159 (gearcase)"
REFRIGERATOR WHIRLPOOL WRS571CIHZ00 "per test mode open by-metal and evap. ice up-repalced by-metal i couldn't defrost evap. cause there was no electricity, i asked male to leave it disconected thru wed. night." OVEN WHIRLPOOL W0S51ES4ES01 Oven will not bake or broil. Found open thermal fuse. Replaced the thermal fuse and checked bake and broil element. REFRIGERATOR WHIRLPOOL WRF555SDFZ05 "authorization # wjlqojlapl1, per female filter was replaced by her son in law,"
REFRIGERATOR WHIRLPOOL WRB322DMBM00 "main board not stopping neither on off or an test mode, evap. ice up-replaced main board and defrosted evap." DISHWASHER WHIRLPOOL WDF520PADM7 Replaced the sump and wash motor assembly and tested operation. Home owner will have to secure dishwasher installation. Undercounter brakets are not screwed to the underside of countertop. Locked all three door locks and returned keyes to lock box. DISHWASHER WHIRLPOOL WDT750SAHZ0 Replaced the sump and wash motor assembly. REFRIGERATOR WHIRLPOOL WRS571CIHZ00 per test mode open by-metal; schdld next appmnt for 4/5 FRI ! REFRIGERATOR KITCHENAID KRFF507ESS00 lowered dspencer cover and tightened freezer door handle. WASHER MAYTAG MVWB765FW1 found pressure hose not seated on contrl board properly causing fill issues & overload error f-3 e-0 recalibrated unit ran test working ok.
WASHER WHIRLPOOL n/a "replaced bad water valve with f-8 e-1 long fill error, ran test recalibrated working ok.; used 1 W11165546 (WATER VALVE) from stock"
REFRIGERATOR KITCHENAID KBSN608ESS01 per customer over the phone to cancel the call for good isend a message to pull it it didn't happen so i clse it. WASHER WHIRLPOOL WTW7500GC0 No hot or cold water entering the washer. Replaced the inlet water valve and tested operation. WASHER WHIRLPOOL WFW6620HC0 "cust says washer making banging noise during spin cycle, possible off balanced loads causing issue, moved washer ran test with load was unable to verify complant." DRYER WHIRLPOOL WGD6620HC0 "removed lint from lint duct, advised cust to clear lint screen after every use. was unable to check exuast, installed under house. advised cust to check exuast for good air flow." REFRIGERATOR WHIRLPOOL WRX735SDHZ01 Refrigeratoir not dispensing water or ice. Added foam strip to refrigerator door liner and tested operation. WASHER ADMIRAL ATW4675YQ1 "f7-e1,,repaired loose wire on actuator and recalibrated. ran manual test for correct operation." RANGE WHIRLPOOL WEG750H0HV0 Replaced the tpouch console and main control and set time and date. REFRIGERATOR WHIRLPOOL WRX735SDHW00 kink in supply hose.. adjust and check for correct water flow. advised on fan operation. DRYER WHIRLPOOL MGDB400VQ0 took dryer apart and cleaned lint from dryer. inspected air flow coming out of vent. tested ok.
MICROWAVE WHIRLPOOL WMH53521HZ3 loose plug at wall outlet. reconnect and tested for correct operation. REFRIGERATOR KITCHENAID KRFF507ESS00 "when press for ice it gives water, and it doesn't hold temp. but was disconnect start working normal,replaced both paddles and main board." REFRIGERATOR KITCHENAID KRFF507ESS00 "when press for ice it gives water, and it doesn't hold temp. but was disconnect start working normal ordered main board and 2 pads; ordrng 2 W10317253 (pad)s and 1 W10807590 (cntrl-elec) and 1 W11089931 (panel-ui)"
WASHER MAYTAG MVWC565FW1 "found unit stuck in pump out mode with no lights on, removed fualt, recalibrated unit test working ok."
WASHER MAYTAG MVWC415EW1 "replaced bad noisey gearcase leaking water, ran test working ok."